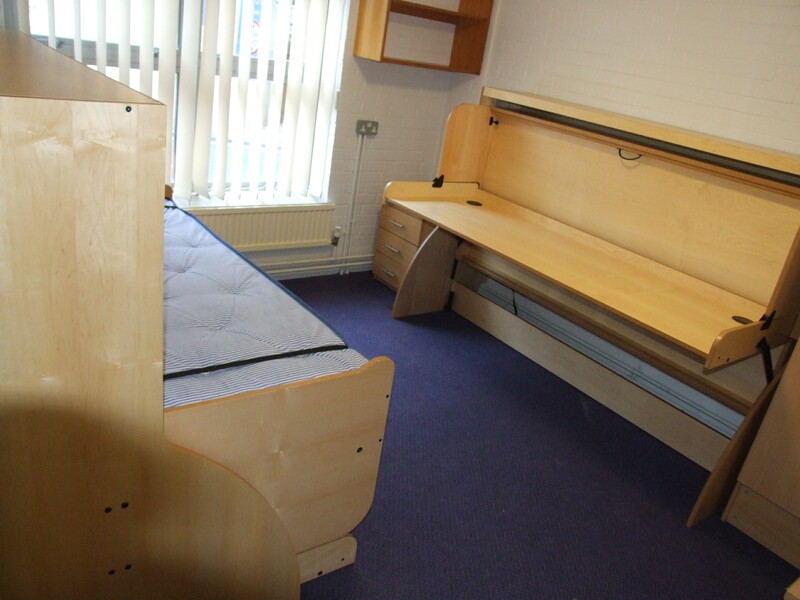 A very large quantity of StudyBeds has been ordered by Portsmouth Uni as part of their accommodation upgrade scheme. Having trialled a StudyBed for many months now, the reaction and feedback from both the student users and all the accommodation staff has been overwhelmingly favourable. This forward-thinking University has realised the potential for StudyBed to not only offer the student a proper comfortable bed combined with unprecedentedly large working space, but to increase the options as far as room lay-out is concerned. The main deployment of StudyBed will be to optimise space in rooms now designated to accommodate 2 students. Portsmouth University attracts a significant number of visiting international students and this upgraded accommodation standard also creates useful financial economies for both the students and the Uni. We wish all future Portsmouth students huge success with their chosen studies and feel sure the enormous desk surface and storage space provided by StudyBed will make a significant difference to those fortunate enough to have the use of one.